Wicked Fast Sports Nutrition (WFSN), the company behind the popular endurance products Energ-Ease and Recover-Ease, today announced a revolutionary anti-doping educational program. 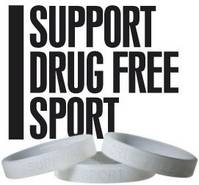 With each new order, WFSN is offering retailers a supply of FREE dope-free product samples and anti-doping wristbands to help promote Cycle Sport magazine's "I Support Drug Free Sport" program. According to Chief Scientific Officer and founder of WFSN, Shawn Talbott, Ph.D., "We want retailers to be able provide their customers with free samples of Energ-Ease and Recover-Ease in a 'try before you buy' scenario, while at the same time allow them to spread the word about the anti-doping movement in cycling and other endurance sports with Cycle Sport's drug-free wristbands." "The bottom-line is simple," says Dr. Talbott, "Our products work  we've shown it in the lab, and we've shown it in the heat of competition  and that's why we say that Energ-Ease and Recover-Ease are research-proven, patent-pending, and DOPE-FREE." Wicked Fast Sports Nutrition is a developer of science-based, patented, research-proven natural products for endurance athletes. Its popular Energ-Ease (www.energ-ease.com) and Recover-Ease (www.recover-ease.com) nutrition products have been used by thousands of athletes around the country to achieve their physical and mental peak performances. For technical information about products and research, contact Shawn Talbott, Ph.D. at Shawn@wickedfastsn.com or 801-915-1170. For product orders, contact Julie Talbott at Julie@wickedfastsn.com or 801-523-3522.